We visited The Summit in Panama City Beach about 20 years ago while vacationing here with friends. We knew this would be the perfect place to have a second home, and wanted to share it with others. 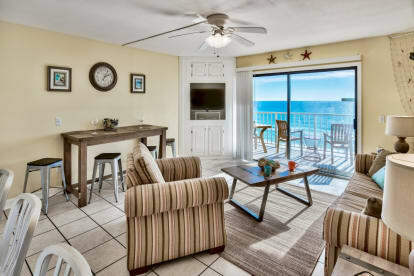 When the opportunity was there to purchase our condo, it was important to make it a condo that people would want to come back to again and again. From comfortable beds to nice linens, a full second bathroom with shower, fully stocked kitchen, and all the comforts of home. We tried to think of everything! Our guests become our family, which is our goal. Please take a moment to view our gallery of photos. We hope you will choose our property for your next stay.